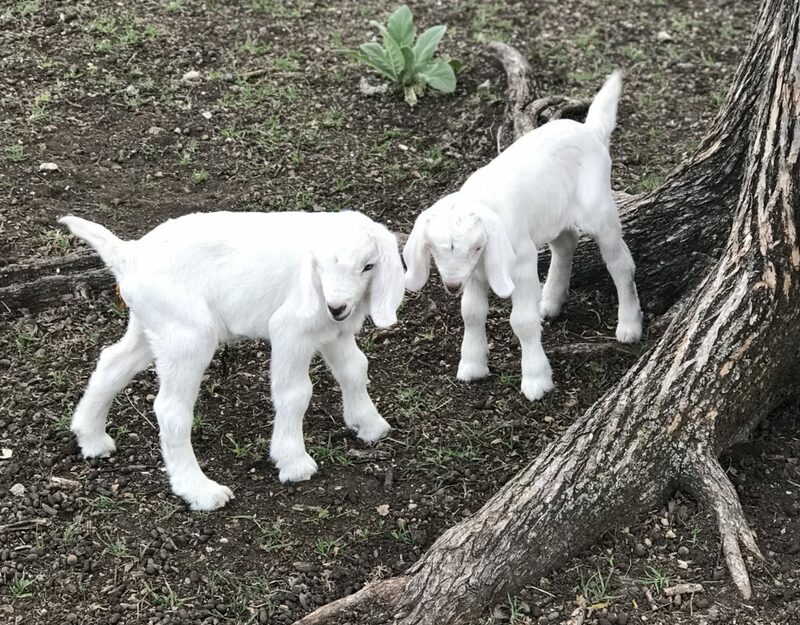 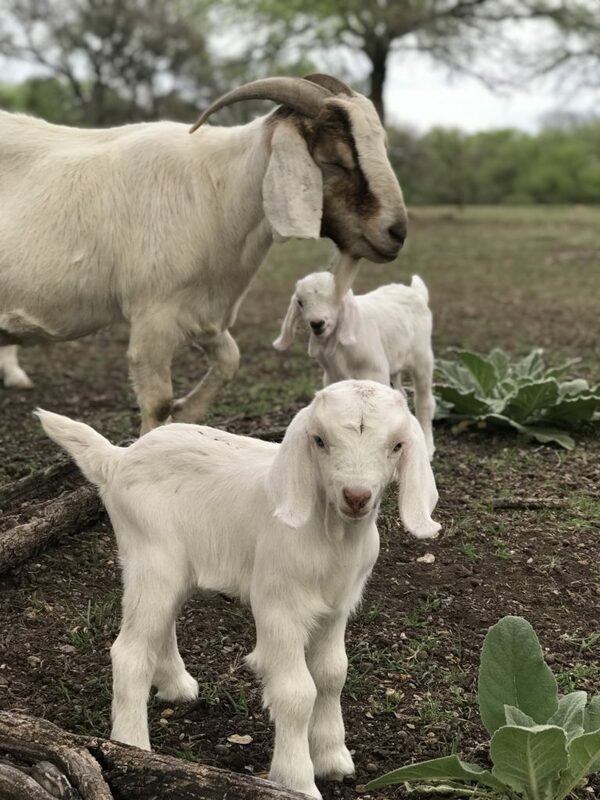 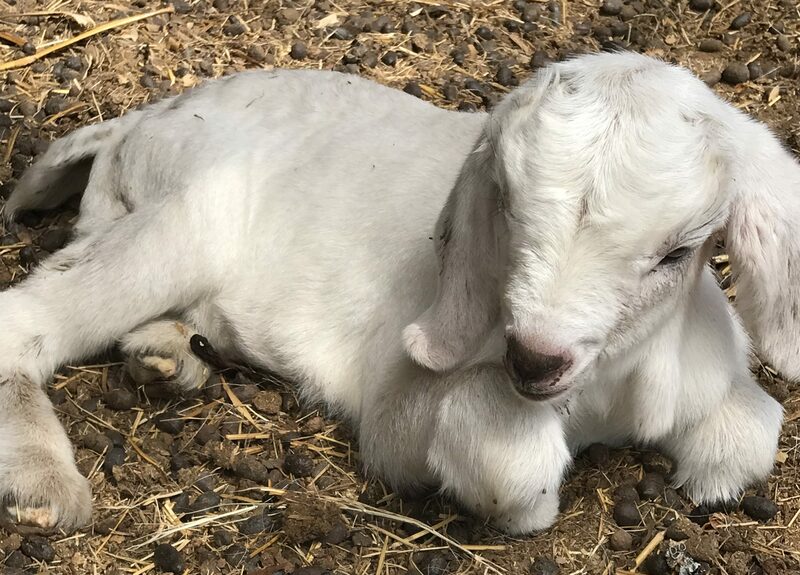 It is baby goat time at the Farm! 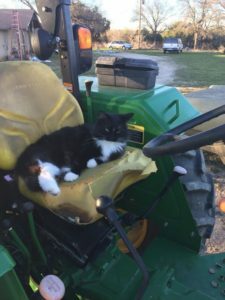 Enjoy some adorable pics of the kids, some foxhounds and one John Deere kitty! 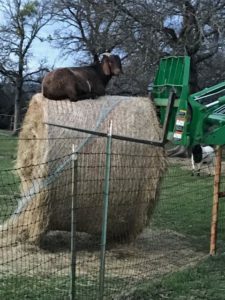 This particular goat just LOVES to sleep on top of the round bale! Our #fosterfail kitty is a big fan of the tractor seat for sunning and sleeping. 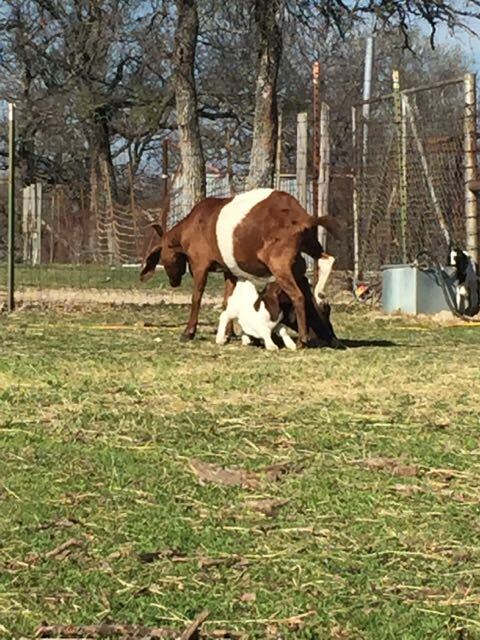 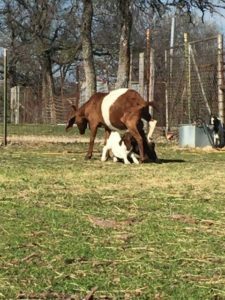 Baby goats can be quite aggressive when nursing. 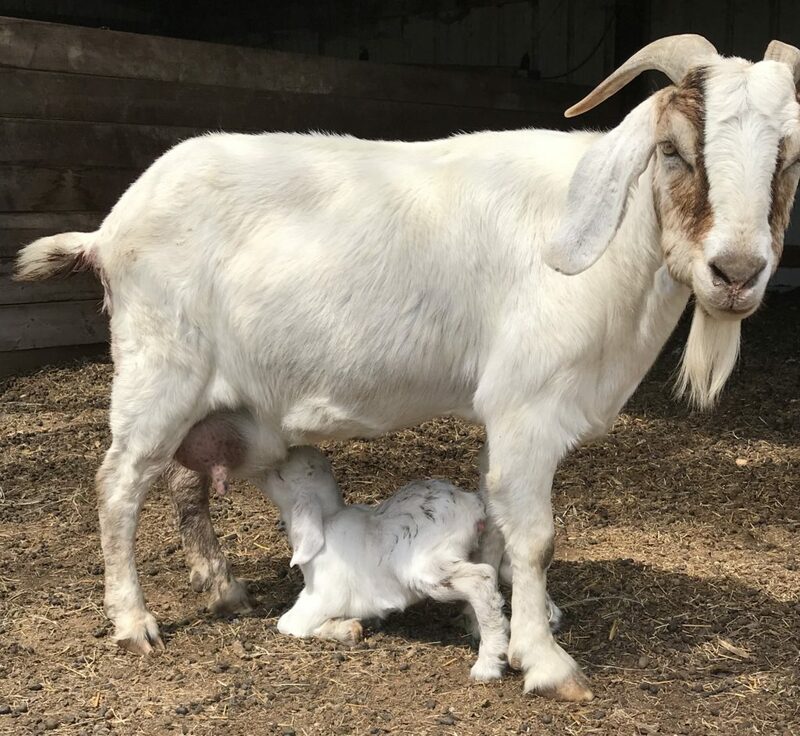 I always feel bad for the mama goat! 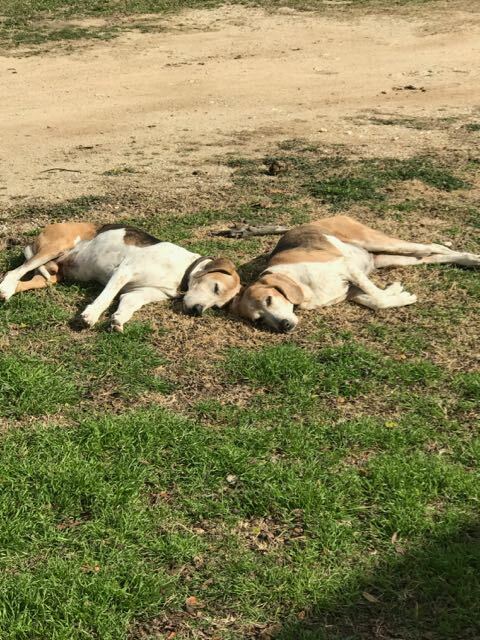 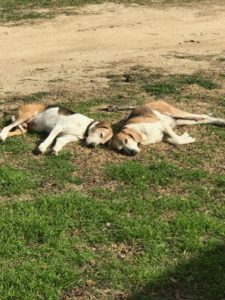 Our retired foxhounds live a very (not) hard life! 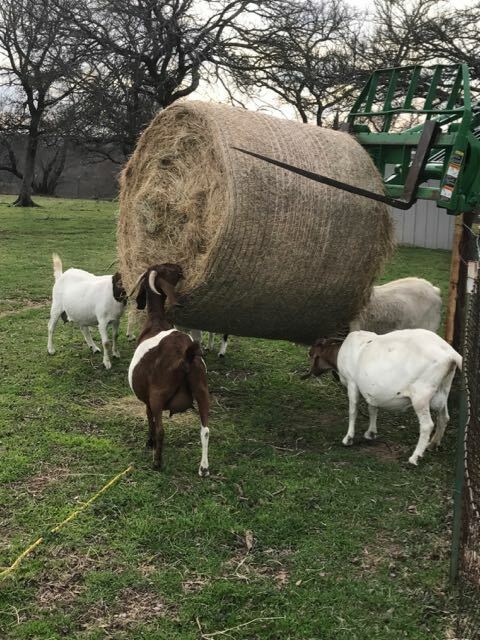 The goats’ favourite day is new-round-bale-day!